Like any Nintendo fan, Chris Taylor is stoked for Super Smash Bros. Ultimate. Chris, though, isn’t sure he’ll live long enough to see the game hit shelves on December 7. Taylor was first diagnosed with osteosarcoma, a form of bone cancer, about three years ago. After an exhaustive fight, he decided to end treatment earlier this year. Nintendo got the message. 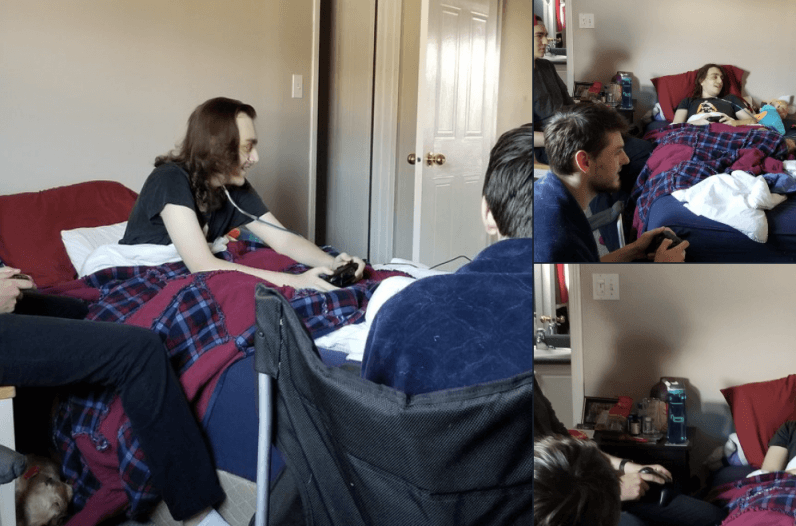 Earlier today, the Smash Bros. fan shared images on Twitter featuring what we can only assume was the epic beatdown Taylor handed a small group of friends while playing the demo Nintendo unveiled at E3 earlier this year. Nintendo didn’t immediately respond to a request for comment. As for Taylor, we’re just going to leave him alone and let him enjoy Smash.